Physician network develops toolkit for commercial payer APMs. The US Oncology Network (The Network) is a community of 1,400 independent physicians who share expertise and resources to advance local cancer care. In an effort to move forward with value-based care, 15 practices within The Network are participating in the Centers for Medicare & Medicaid Innovation's Oncology Care Model, an alternative payment model (APM) that requires physicians to assume responsibility for cost and quality performance. While this model addresses chemotherapy episodes of care for Medicare patients, it does not directly pertain to radiation oncology services. To drive greater value in other areas of cancer treatment, for the past year, The Network has been creating its own radiation oncology APM models addressing commercial, ie, private, payers. Since as much as 50% of a practice's patients may be covered by private payers, The Network was eager to develop new value-based reimbursement models for commercial payers that more accurately align incentives with the care that is actually provided. The health care landscape has become extremely volatile. As a result, radiation oncologists as well as private payers are dealing with a highly unpredictable environment. From the payer's perspective, more widespread adoption of advanced radiation technologies has dramatically driven up treatment prices. Additionally, clinical studies show that for certain cancers, a smaller number of radiation treatments are as effective with the same risk level as a larger number of treatments, creating pressure from payers to reduce the number of treatments. In light of these trends, many payers have implemented prior authorization requirements, creating a huge administrative burden for radiation oncologists, increasing denial rates, and lowering overall reimbursement for services. With the traditional payment per treatment model breaking down, The Network decided that by drawing on the collective knowledge, expertise, and resources of our members, we could develop our own APM commercial payer models that would better serve all stakeholders. Consequently, The Network began working on the models at the beginning of 2017 under the guidance of affiliated physicians. A few practices in The Network were already implementing their own radiation oncology APMs on a very limited basis. These practices served as an "APM laboratory," enabling us to observe the various models to see how they perform in the real world while also providing valuable information to help us develop our own models. The new APMs bundle treatments for payers and providers in a more predictable fashion that better aligns incentives. In addition to providing a more equitable reimbursement structure, the models benefit physicians by allowing them to concentrate on treating the patient rather than using valuable physician time trying to determine which treatments payers will allow. The Network developed different APM models because, from our experience, various payers may prefer one model over another. However, all of the models are driven by the desire to move away from traditional reimbursement to more predictable episode-based bundles. Two models will be discussed here. This payment model can be designed two different ways: a disease site/stage-based model or a modality-based model. The disease site/stage-based version provides stage-specific or disease-specific prospective payment for a defined single episode of care for patients with a cancer diagnosis requiring radiation therapy. The case rate covers all radiation therapy services provided over the defined episode. 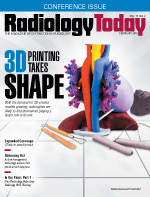 The modality-based model focuses on modality-based case rates, including 3D conformal radiation therapy, intensity modulated radiation therapy, stereotactic radiosurgery/stereotactic body radiotherapy, and high dose rate brachytherapy/low dose rate brachytherapy technologies, providing prospective payment for a defined episode of care. All radiation services given to the patient over the specified time period are covered under the case rate. Both models support quality care with improved outcomes and patient experience at a sustainable cost; they allow the physician to practice medicine while encouraging treatment optimization by adhering to preauthorized treatment guidelines and algorithms. In the capitation payment model, providers take on more risk for patient care and are paid on a per member per month basis for all services rendered to a certain payer population. Currently, the capitation model is less common than the episode of care case rate models among practices in The Network that are already using APMs. We are just now promoting the new models networkwide. A detailed radiation oncology APM playbook and toolkit have been prepared, highlighting models in The Network that have been successful to date. Lessons learned from our experience with various APMs are presented, as well as recommendations about which models to utilize along with risk mitigation strategies. The playbook is also a toolkit for practices to help them identify and pursue APM opportunities in their markets, as well as assess the operational readiness of their practices to successfully execute a radiation APM. The transition to these new payment models is a complex task, and strategies are in place to provide ongoing assistance to help practices in The Network succeed. Although it is early in the game to draw definite conclusions, we believe these new reimbursement models are a win-win for payers and providers, but, most importantly, they support and drive the timely delivery of high-quality care to patients. Those of us in The Network who worked on the new APMs are optimistic about how they will be received networkwide and across the cancer community. For too long, we have all been trying to function productively and deliver quality care in an environment where both physicians and payers are unhappy. The Network has taken a creative approach and retooled the reimbursement system, aligning incentives in a meaningful way that provides a wealth of benefits to payers, providers, and patients. — David Fryefield, MD, is the radiation oncology managed care medical director for The US Oncology Network and a founding member of the Willamette Valley Cancer Institute and Research Center in Eugene, Oregon.